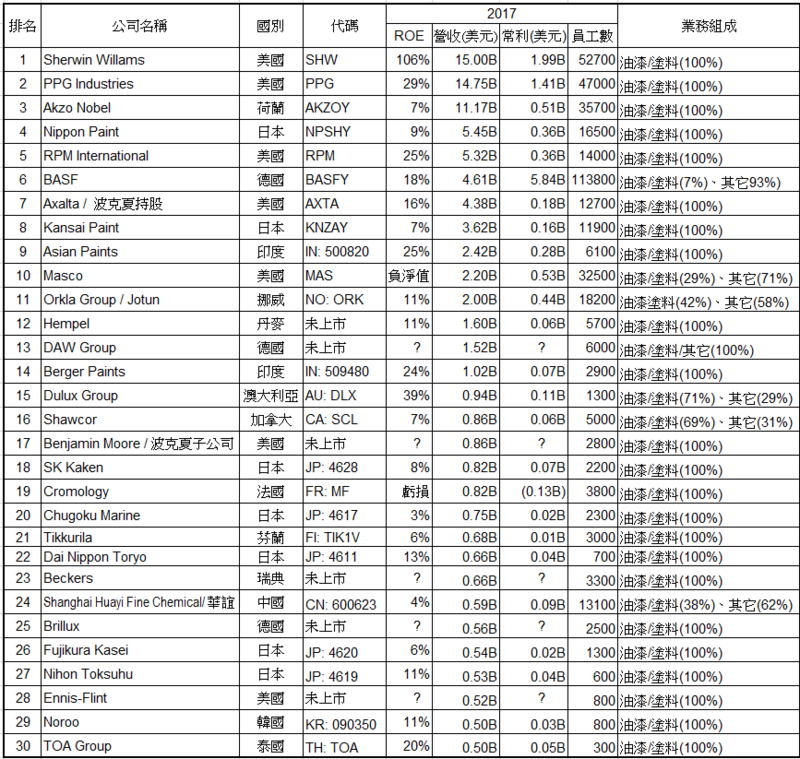 油漆塗料 - 舊討論區 - 巴菲特班 洪瑞泰 (Michael On) - Powered by Discuz! Headquartered in Amsterdam, the company has activities in more than 80 countries, and employs approximately 46,000 people. Sales in 2016 were EUR 14.2 billion. Following the acquisition of ICI, the company restructured on 2 January 2008, and rebranded itself on 25 April of the same year. Akzo Nobel N.V. is a paints and coatings company, and a producer of specialty chemicals. The Company's segments include Decorative Paints, Performance Coatings, Paints and Coatings, and Specialty Chemicals. The Decorative Paints segment's business operations include Decorative Paints Europe, Middle East and Africa; Decorative Paints Asia, and Decorative Paints Latin America. 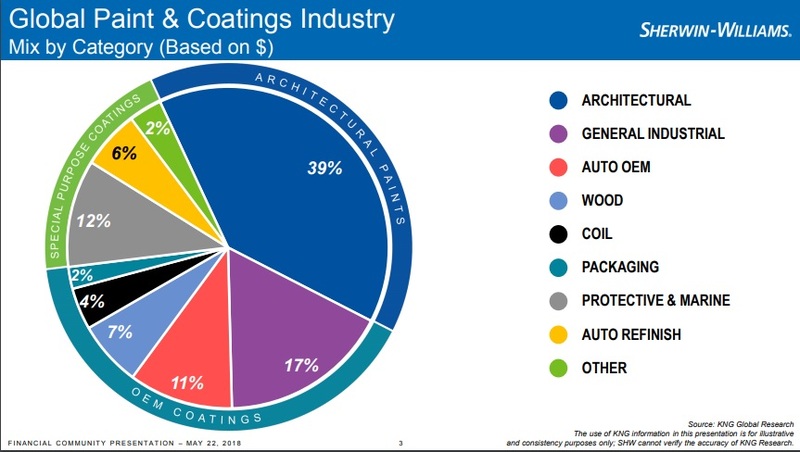 The Performance Coatings segment has a portfolio, cars, aircraft, yachts and architectural components (structural steel, building products, flooring) to consumer goods (mobile devices, appliances, beverage cans, furniture), and oil and gas facilities. 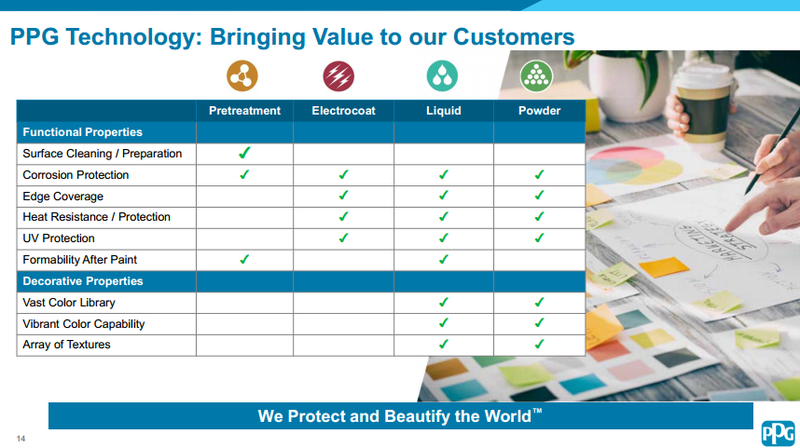 The Paints and Coatings and Specialty Chemicals segments supply industries around the world with ingredients and process aids for the manufacture of life's essentials. The Company's brands include Coral, Dulux, Flexa, Hammerite, Sadolin, Sikkens, Awlgrip, International, Interpon, AkzoNobel, Biostyle, Dissolvine, Ecosel, Eka, Expancel, Jozo, Levasil, and Kromasil. 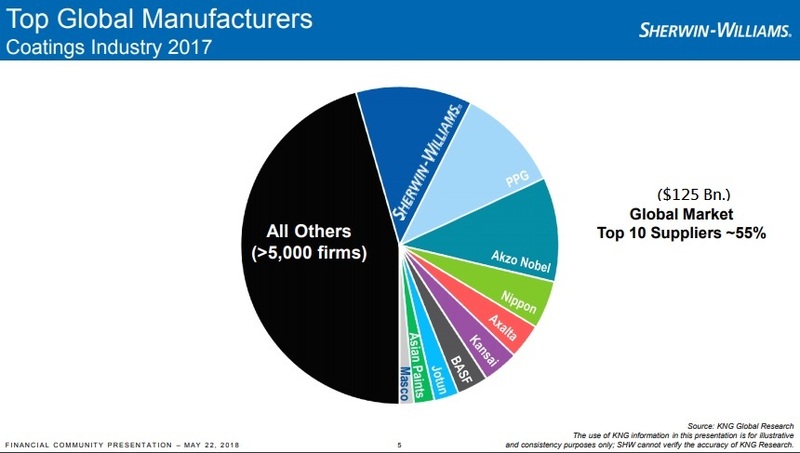 However, we (RPM) do not believe that we have a significant share of the total protective coatings market (on a world-wide basis).